The quick wit and social satire of the author makes this a delightful read. 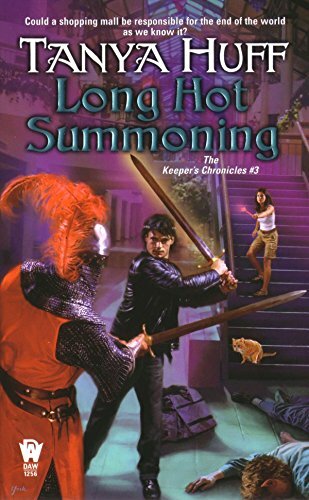 This is book #3 of the Keeper's Chronicles and the first two are just as fun to read. Released on Sunday, October 31, 2004 at about 6:00:00 PM BX time (GMT-06:00) Central Time (US & Canada) at Hotwire Coffee Shop on 15th in Shoreline, Washington USA. Far back corner near restrooms.